The Euratom Research and Training Programme (2014-18) complements Horizon 2020 in the field of nuclear research and training. 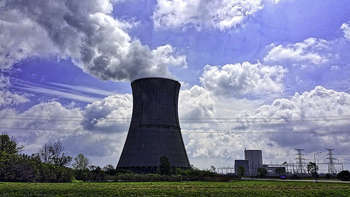 Its aims to support nuclear research and training activities with an emphasis on continually improving nuclear safety and radiation protection. The Work programme deals with Euratom indirect research actions in both fission and fusion. Compared to the Euratom Work programme 2014-2015, the fission part of Euratom Work Programme 2016-2017 places more emphasis on the long-term security of energy supply at EU level. There are also other actions, such as. The budget of the Work programme 2016-2017 is 126,7 million of euros (59,3 milioni di euro ffor 2016 and 67,4 million of euros for 2017).